I’ve been using Fitglow Beauty for a few years now and I can confidently say they are one of my favorite green beauty brands. So first, let’s start by talking about the amazing woman behind the Canadian cruelty-free line- Anna. Just follow her on Fitglow’s Instagram and you will see this gorgeous woman giving us a glimpse of her world, concocting effective clean beautiful products and making sure women know it is not about perfection, it’s about feeling confident in their skin. The Vita Active Foundation is my must have foundation. I’m pretty fair to light with some red undertones (I also wear the Redness Rescue Cream – more on that another day) so VF2 works for me. 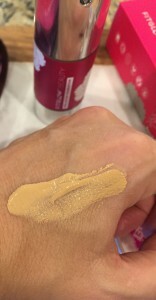 VF2 is Light/Warm, it gives me medium coverage, blends right into the skin. Vita-Active Foundation comes in many shades-VF1-VF7 so the right shade can be found for many skin tones. I still remember when I first used the foundation, every time I looked in the mirror I couldn’t believe my skin was silky smooth and looked natural too (should I say-flawless). 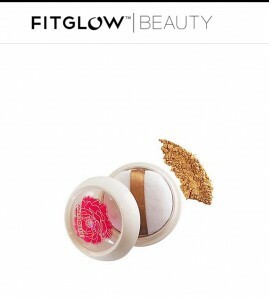 When Fitglow came out with the VITA-SET KIT which includes the Vita-Active Foundation, Vita-Active Set Powder & Limited Edition Handmade cosmetic bag (I’m a collector of everything Fitglow Beauty and the bags, you might call me the Fitglow bag lady?!?! ), I knew I would have to get it. The Vita-Set Kit is $129. 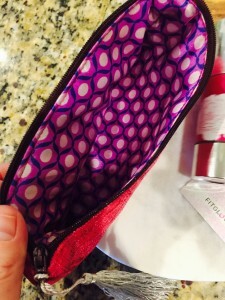 To me the cost is well worth the products inside, they are not just make-up, they are an extension of my skin care. You can also buy the products separately- Vita-Active Foundation and Vita-Set Powder). This is a creamy foundation that I like to apply with my fingers. I use one to two pumps to cover my entire face. 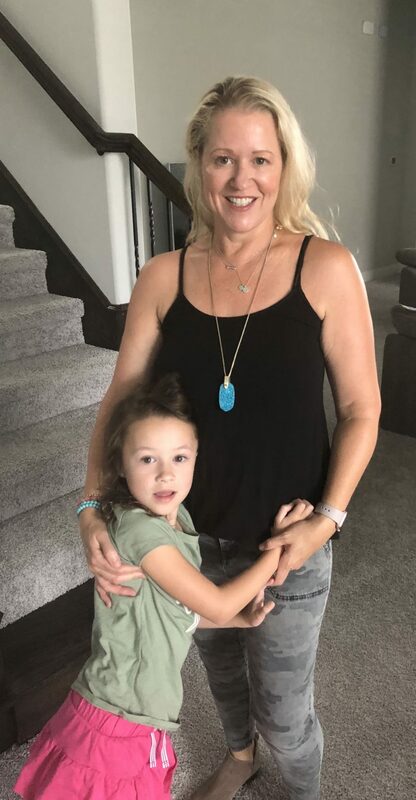 You can also use a foundation brush, natural sponge, which I have, but my favorite is using my fingers with this formula because it feels like a moisturizer and blends in so smoothly. This foundation works in the Texas humidity, cold, and crazy weather. It feels light weight but gives coverage and stays on all day. This plant- based foundation contains clean ingredients and scores a Zero with Think Dirty, meaning it has no nasty ingredients in it. 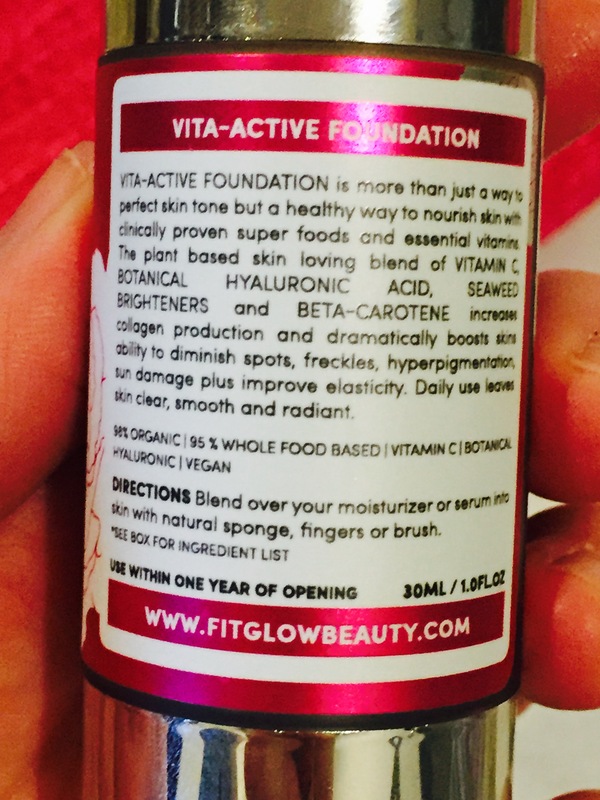 Plus, Vita-Active feels like skin care make-up because it contains a blend of some proven super foods and essential vitamins like Vitamin C, Botanical Hyaluronic Acid, Seaweed Brighteners, and Beta-Carotene. 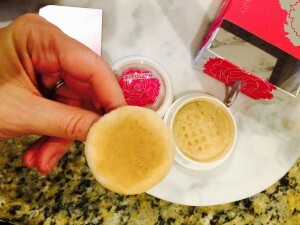 Who doesn’t want their make-up to be effective, but also benefit their skin? For a full list of ingredients see here. I didn’t think my skin could look any better, but it does with the Vita-Set Powder. 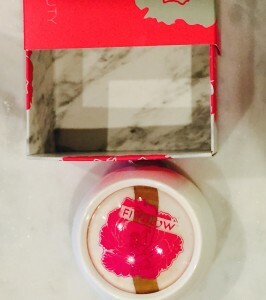 It adds a finished look, shrinks pores, smooths the skin and blends with foundation for long lasting wear. I apply the powder after my Vita-Active Foundation. It can be used to set foundation, balance oils and protects from environmental stressors. It is made with clean ingredients like Canadian Glacial Marine Clay- rich in minerals that soothe skin and protect from the environment, Zinc Oxide (Non-nano), and Niacinamide (B3). 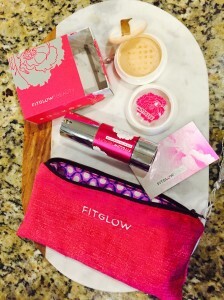 The handmade bags come with the Limited Edition sets, can be purchased separately or in the Fitglow Try Me Bag. They are unique and beautiful (I’ve tried to get them all). They are great to travel with and leave in my purse to hold all my Fitglow goodies. The combination of Vita-Active Foundation and Vita-Set Powder is the best clean beauty foundation and powder I’ve found for my skin. If you follow me on IG you know my love for Fitglow Beauty runs deep, they have so many of my favorite products- both make-up and skin care (I’m working on more posts now). 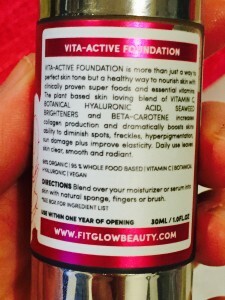 Have you tried Fitglow Beauty Vita-Active products? What did you think? Any questions please let me know in the comments. Thank you.